The steppe bison, also known as the steppe wisent, was a species that once roamed the mammoth steppe. This giant grassy area spanned from present-day Spain eastward all the way to Canada, and southward from the Arctic islands to China, during the last Ice Age. Along with ancient horses, wooly mammoths, and wooly rhinoceroses, steppe bison was one of the most common large mammals to inhabit the vast mammoth steppe. 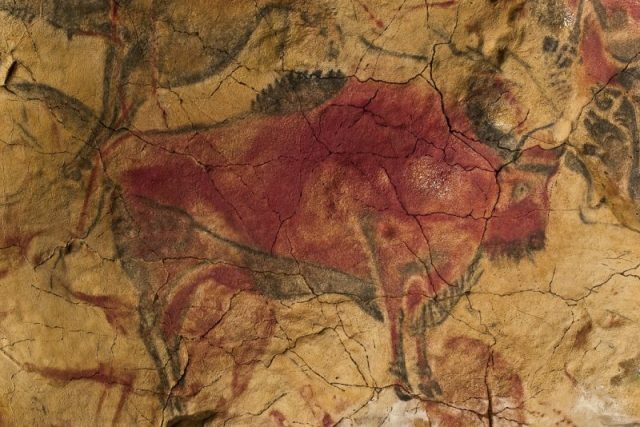 Prehistoric paintings in the caves of Altamira and Lascaux, which are some of the oldest known examples of human art, feature steppe bison alongside figures of humans and other animals. These majestic, long-horned creatures went extinct some 8,000 years ago, during the early period of the Holocene — the current geological epoch. They gave rise to modern species of bison, including the American bison. 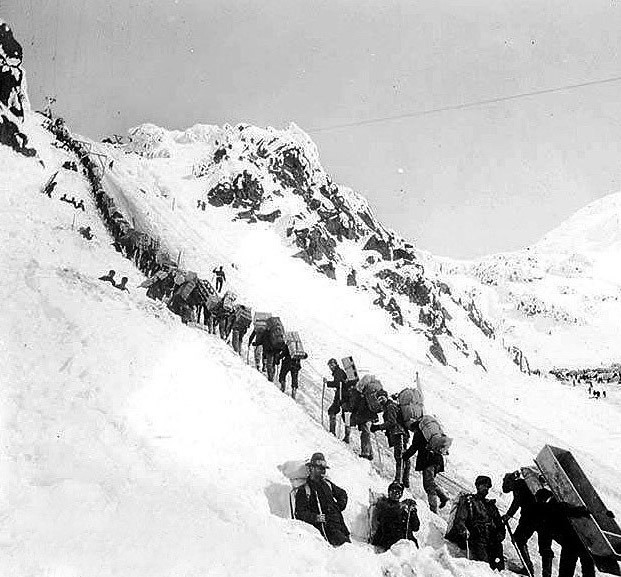 During the Klondike Gold Rush, which occurred in the late 1890s, as many as 100,000 miners and prospectors from all over the United States headed to Alaska and to the Canadian federal territory of Yukon to take part in extensive gold mining operations. At that time, many miners stumbled upon ancient fossils and incomplete remains of prehistoric mammals, but the paleontological value of such findings was usually overlooked: most of the relics ended up discarded or taken home as souvenirs by the workers. However in 1976, long after the gold rush had ended, the Rumans, a family of miners, discovered an incredibly preserved carcass of a male steppe bison embedded in ice near the city of Fairbanks, Alaska. They named it Blue Babe, in reference to Babe the Blue Ox, the mythical companion of the American folk figure Paul Bunyan, a giant lumberjack. Thankfully, the family immediately realized that their discovery might be exceptional, so they called Dale Guthrie, a paleontologist from the University of Alaska. 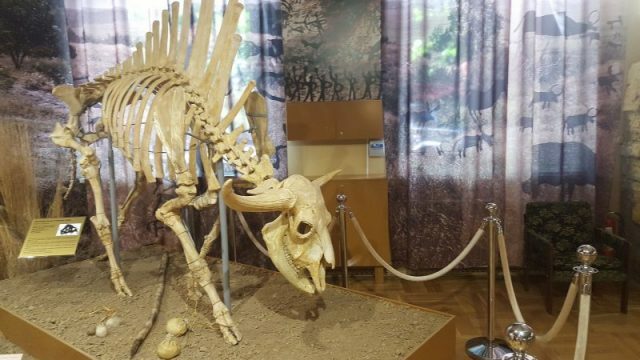 Guthrie and his team managed to melt the thick layer of ice and excavate the carcass, and they quickly realized that they had encountered one of the most preserved specimens of steppe bison ever found. A radiocarbon analysis of a piece of the animal’s skin showed that it had died approximately 36,000 years ago. While examining several wounds on the bison’s neck and back, the researchers determined that it had most likely been killed by an American lion, a subspecies of the long-extinct Ice Age lion, the ancient ancestor of the modern African lion. This had probably occurred in winter; extreme cold had quickly caused the dead bison to freeze, and the vultures thus couldn’t destroy its remains. Over the following thousands of years, layers of ice and snow covered the carcass and it silently waited for someone to discover it, almost completely intact. 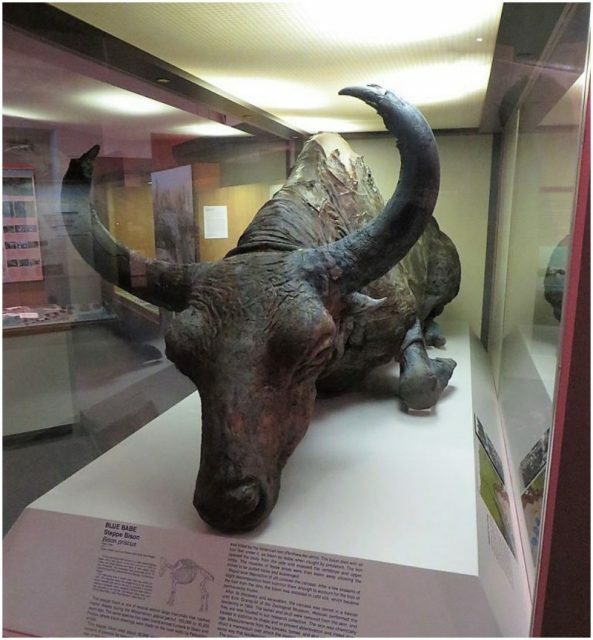 Guthrie’s research team put a lot of effort into preserving the dead bison in its initial state so that it could be permanently exhibited at the University of Alaska Museum. 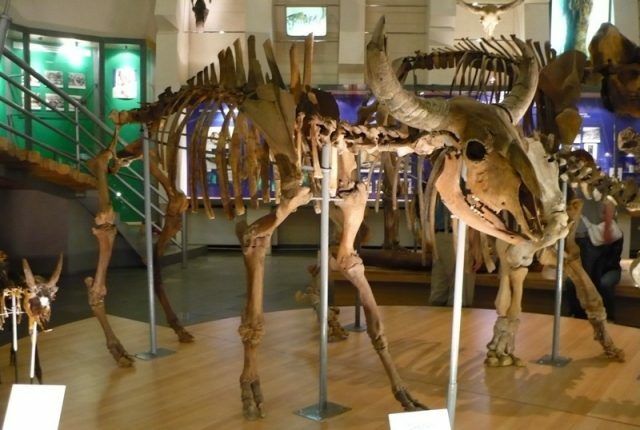 They even sought the help of Eirik Granqvist, the chief taxidermist for the Zoological Museum of the University of Helsinki, Finland, who used his expert taxidermy skills to completely restore the remains and prevent them from decomposing. During the process, the team even managed to extract some of the animal’s blood and bone marrow. 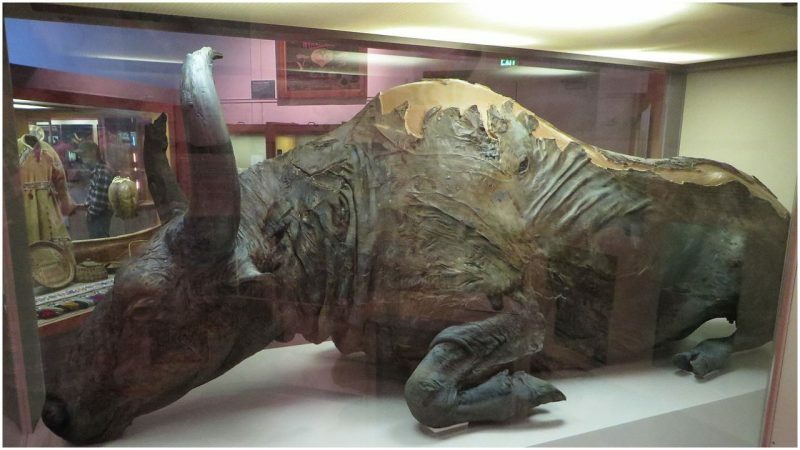 By mid-1984, the specimen was ready to be exhibited. In order to celebrate their success, Guthrie and his team decided to do something rather unorthodox: they removed some meat from the bison’s neck and used it to prepare a stew. Read another story from us: Were Camels Native to North America? The Evidence Says Yes. According to Guthrie, the meat was tough and somewhat hard to chew, but also quite delicious, resembling ordinary beef. Also, since nobody experienced any nausea or digestive problems, the 36,000-year-old meat was evidently quite edible. Blue Babe can be seen displayed in the Gallery of Alaska at the University of Alaska Museum of the North.